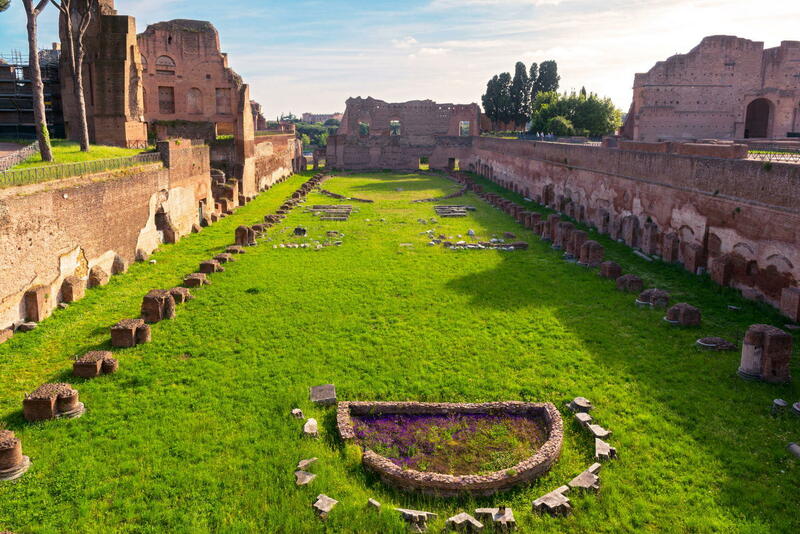 Domitian’s private residence was connected with an enormous garden in the form of a stadium for chariot races, 160 metres long. 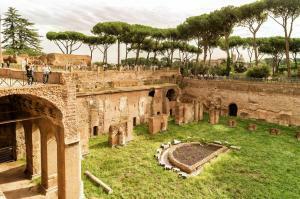 Decorated by fountains, its perimeter was bounded by a two-storey portico. A spine ran down the centre of the stadium and formed the longitudinal axis around which the chariots raced. 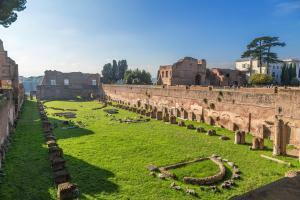 Hippodrome of Domitian on the Palatine Hill, 80 – 92 years. 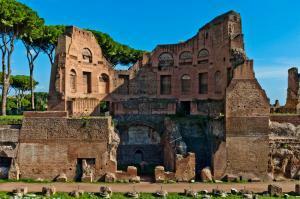 At one end an imposing stand enabled the emperor to watch the races in the Circus Maximus from his own palace. 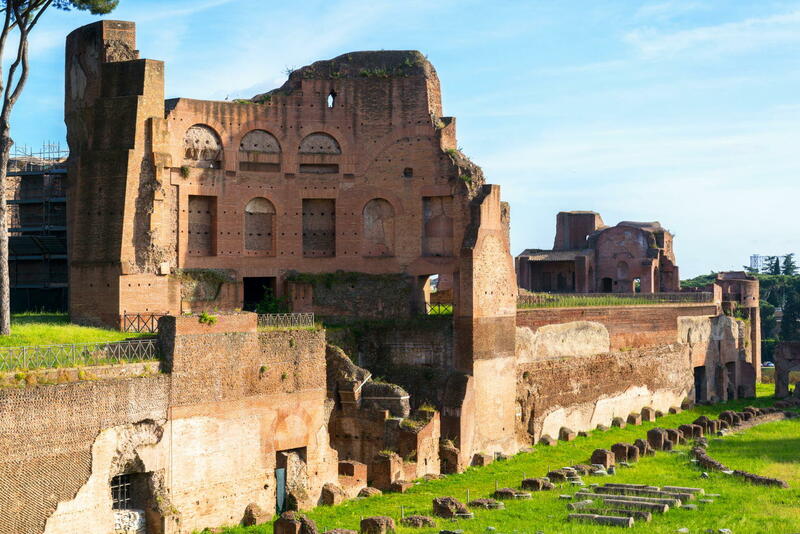 A little more than a century after construction of the Domus Augustana, the Emperor Septimius Severus ordered his baths to be built next to the Stadium as part of a vast program of architectural improvement of the slopes of the Palatine. The ruins of the Hippodrome of Domitian on the Palatine Hill on the Palatine Hill in summer, Italy. They were set above massive vaults and their facade formed a monumental fountain called the Septizodium. The great arches of the baths are still clearly visible from the valley of the Circus Maximus. Hippodrome of Domitian set in the center of Rome, 110 m from (1 min walk) from Colosseum.